NodeXL is extendable. 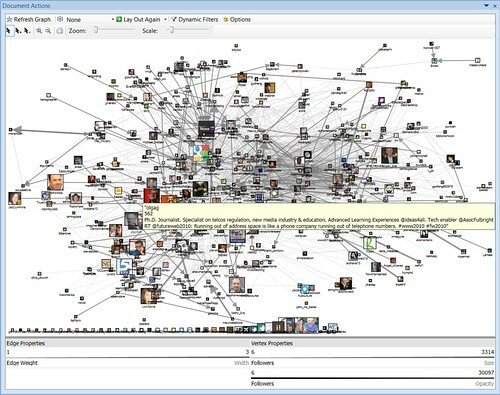 3rd Party developers have been building data providers that can plug into NodeXL that connect the network visualization tool to sources of network data. We now have three providers of extensions to NodeXL: VOSON for WWW hyperlink networks, the Exchange Spigot for NodeXL for extracting enterprise email networks, and the Facebook Spigot for NodeXL that extracts your own Facebook network for analysis and visualization! We welcome additional data provider projects! 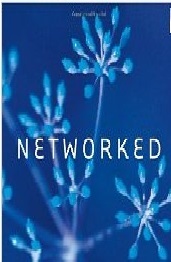 Have a network? 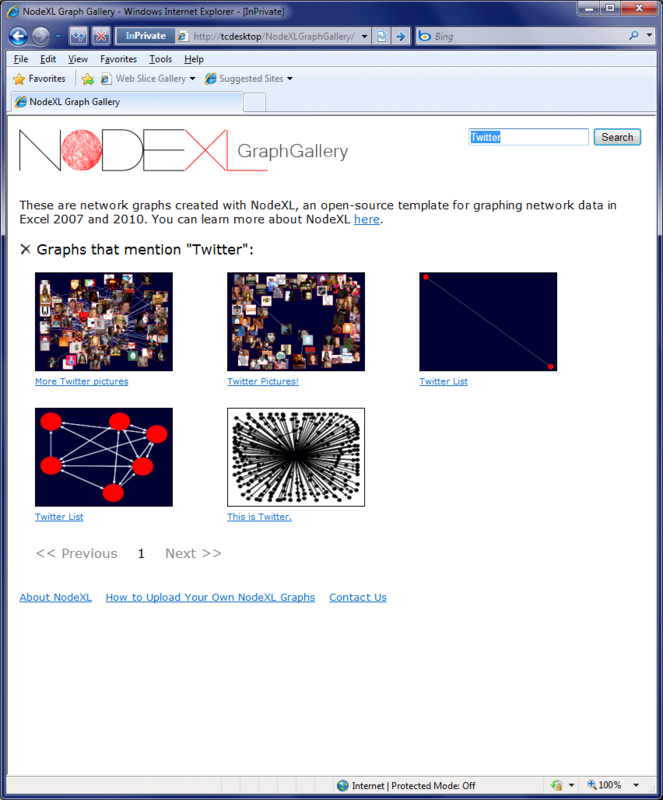 Connect it to NodeXL with the simple directions listed here. Import hyperlink networks into NodeXL with the VOSON System — a web-based software incorporating web mining, data visualisation, and traditional empirical social science methods (e.g. 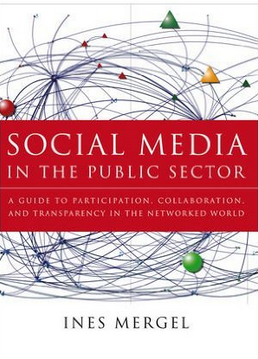 social network analysis, SNA). 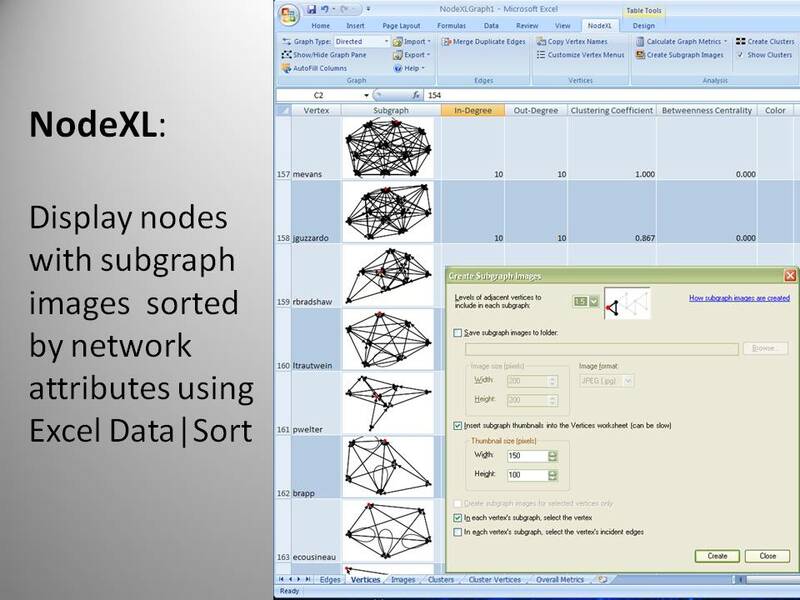 Exchange Spigot for NodeXL enables Microsoft Excel plugin NodeXL to collect messaging data from the Microsoft Exchange Server and display that data as a graph. 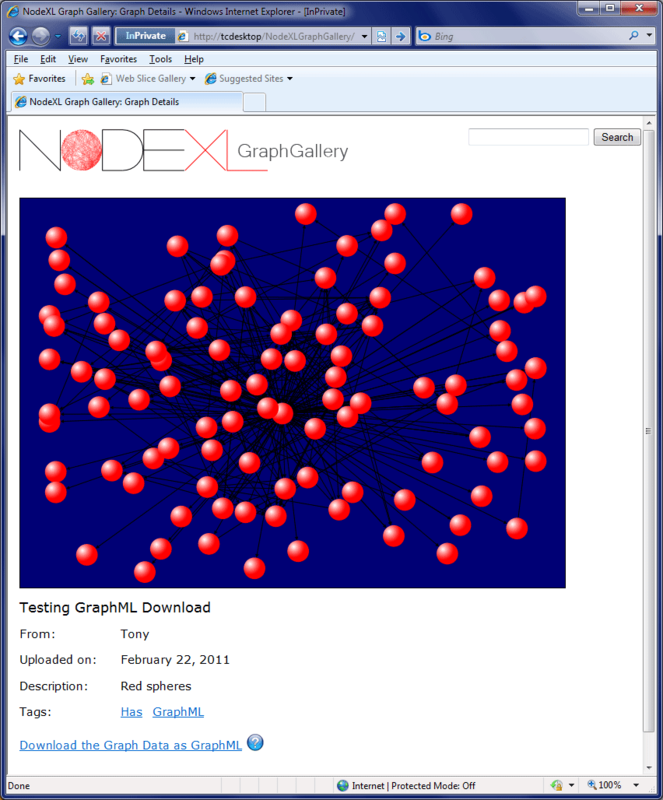 Facebook Spigot for NodeXL is a new graph data provider for NodeXL which will allow each user to directly download and import from within NodeXL different Facebook networks. The WWW2010 conference is underway in Raleigh, North Carolina. This is a map of the connections among the population of people who recently tweeted the term “WWW2010”. The size of the profile photos indicates the log scaled number of followers that person has. The edges vary in weight, thicker edges mean more of the three types of connections we track, follows, replies, and mentions, appear between any two people. A row of isolated people stand at the bottom of the graph, mentioning “www2010” but lacking any visible connection to anyone else who tweets the same term. 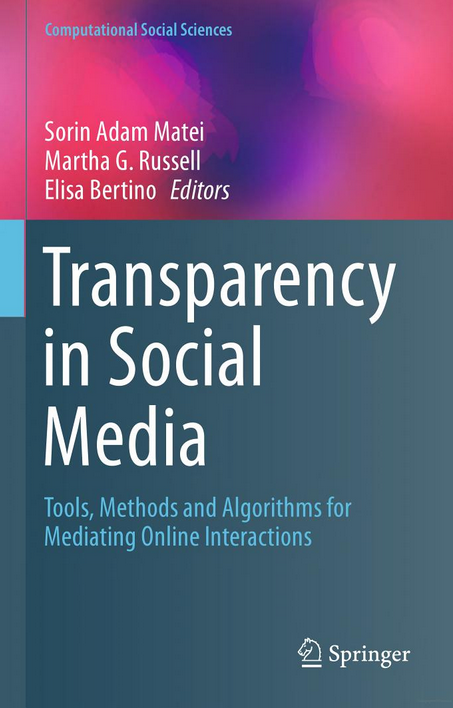 The giant component is dominated by the corporate twitter accounts for information technology companies and prominent researchers in the field. One way to rank people in a network is in terms of how “between” they are — how much they occupy a position that is like a bridge between otherwise disconnected people or groups. There is a correlation between the number of connections and your betweenness centrality, but it is possible to be very between and have just a few (at least two!) connections. In this layout the x axis is the log of the number of followers and the y axis is the log of the number of tweets. Some people out perform the relationship between tweets and followers, attracting more followers for fewer tweets than others. Above the diagonal, some people lag in terms of their tweet to follower ratio. 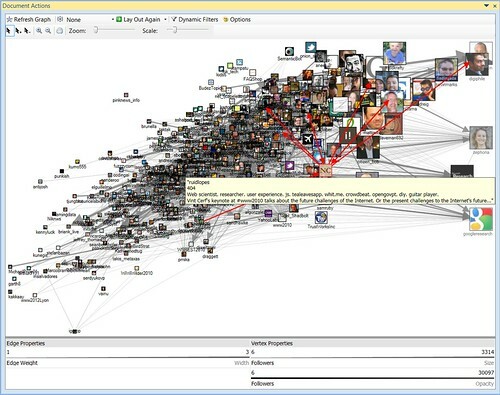 These reports and images were generated with NodeXL, the free and open social media network analysis add-in for Excel 2007/2010. 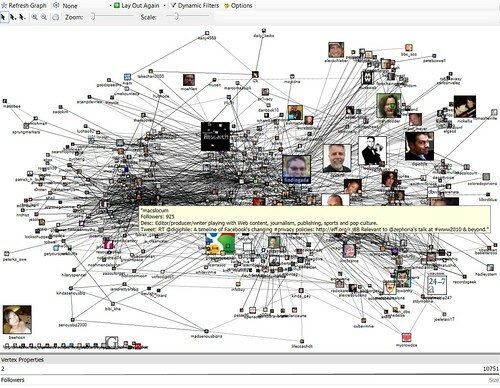 The dataset 2010 – April – 28 – NodeXL – Twitter www2010 is available here. 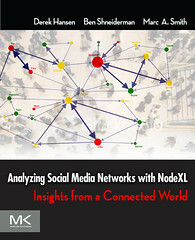 A book, Analyzing social media networks with NodeXL: Insights from a connected world, is forthcoming summer 2010 from Morgan Kaufmann and from Amazon. In particular, this image (figure 4) is a great use of an innovative way of handling large network graphs: chop them into a matrix of ego-net thumbnails. This is a neat way to side step the “blob” problem of many directed graph visualizations: too many nodes and too many links make the image impossible to understand. Each grid of images represents a collection of authors who share contribution to questions with the same tag. In this case the programming, wrestling, and marriage tags. Each grid is a collection of ego-centric network diagrams, each author is displayed with their “1.5 degree” connections: their links to friends and thei friend’s links to one another. 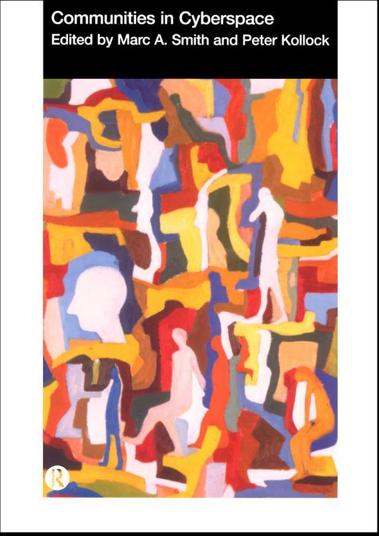 Display a collection of authors and contrast multiple collections and several interesting observations are possible. First, not everyone who contributes to a tag is the same, a few highly active people make significant contributions while most people are lightly connected and make modest contributions. Second, not everyone who contributes heavily does so in the same way. In the upper left hand corner of each grid is the “top” person in that sample of the tag population. Each is highly active but create different types of patterns of connection through that activity. 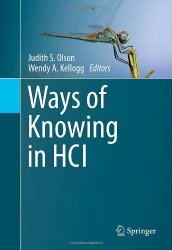 In programming the top person is a classic “answer person” – high out degree, low in-degree, connected to isolates and a resulting low clustering coefficient. The top contributor in the Marriage tag is different, however: most of the people they connect to are connected to the other people they connect to: their “friends are friends”. Their clustering coefficient is comparatively high in contrast with the top contributor to the “Programming” tag. 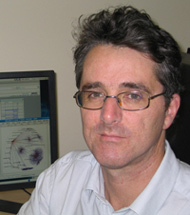 The top contributor of questions with the “Wrestling” tag is a hybrid: the author maintains a cluster of highly inter-connected repeat discussion partners while replying to a population of question people like a classic “answer person”. It is worth noting the marriage resembles wrestling more than programing. It is also worth noting that this visualization approach, while not perfect, is a nice step forward for information visualizations of complex graphs. Graph vizualization has been stuck for many years: complex graphs are hard to draw in meaningful ways, let alone to do so automatically. This approach side-steps many of the obstacles to the main approach of whole graph visualization to focus on attributes of individuals and distributions of network variation. 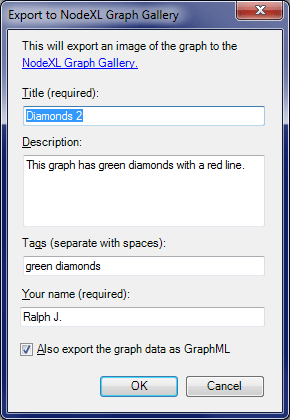 The NodeXL add-in for Excel can generate these sub-graphs for any network: select “Insert subgraph images”. The thumbnail of each node’s “egonet” is inserted in the spreadsheet and can be written to a local directory and later stitched into an array.